PJ here. I'm delighted to introduce you to debut author Nancy Haviland today. You know how much we love debut authors around here! 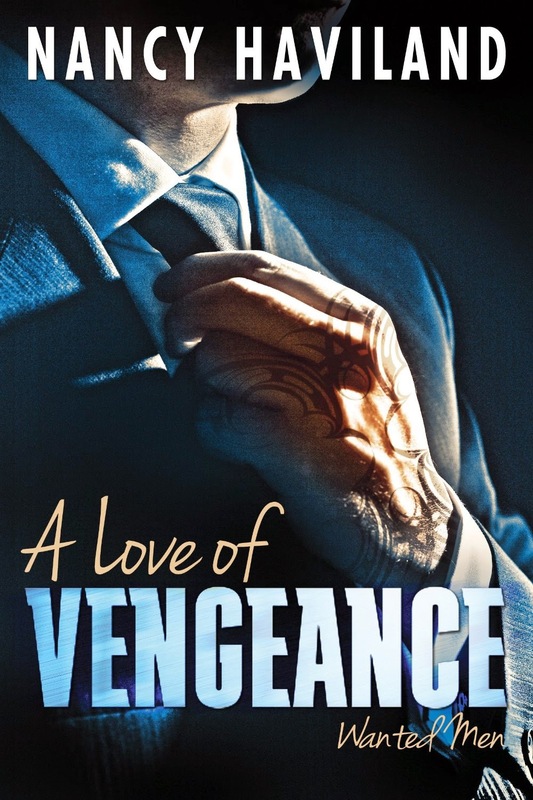 Nancy's book, A Love of Vengeance is fresh, captivating and a story that I thoroughly enjoyed. 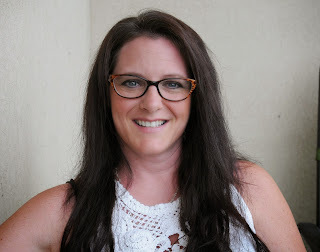 Nancy is a single mother of three and a college graduate who worked as an administrative assistant in the commercial mortgage field, and then had the pleasure of being a stay-at-home mom before becoming a full-time author. She resides near Toronto, Ontario with her children and an arrogant kitty named Talbot. Please give Nancy a warm welcome! Welcome, Nancy! Congratulations on the release of A LOVE OF VENGEANCE. Please tell our readers what they can expect from this book. A LOVE OF VENGEANCE is the first book in your Wanted Men series. What inspired you to create a series of stories set within organized crime families? The organized crime element has always drawn me in: The Untouchables, Casino, Goodfellas, Eastern Promises, and of course, The Godfather; all favorites of mine. The arrogance, the ego, if you will, these men must have to demand such loyalty and respect from their families or organizations is enormous. And who better as an alpha hero (or would that be anti-hero?) than men who know who they are and offer no apology. Even those who cross that invisible line to protect and shelter those they love by any means they must. The strength of that connection, whether it’s to a brother or a woman, is fascinating to me. The protective instincts they possess and the strength with which they love their ladies is also a huge draw for me. Speaking of their ladies, I cheered Eva as she gradually claimed her heritage, discovering her own strength, and place, within a male dominated world and fell in love with Gabriel right along with her. What do you want readers to understand about these two characters? Yay! Girl power! I think they’re both trying to find their place in the world, as you pointed out with Eva. Gabriel has always known what was expected of him, to head his family, yet he turned his back on it. I think he feels the loss of his purpose, but wants something more. Now, he’s being drawn back in and he continues to fight it. But will the advantages to becoming king of the castle eventually outweigh the many disadvantages? Eva, on the other hand, has never know her father’s world so it’s all new to her when the organized crime element comes to light. She’s torn. She knows what she should feel about the things Gabriel and her father are a part of, but does she? She’s left wondering what kind of person it makes her that she finds satisfaction in knowing her mother’s death has been avenged. Killing someone is simply killing someone. Or so she’d always thought. Now she sees there’s a gray area she’d never thought to acknowledge. After her initial shock wears off, will she and Gabriel come to see that she really is her father’s daughter? Are her feelings for Gabriel changing her view of what’s right and wrong? Accepting her new reality doesn’t come easy for Eva and I hope that comes across to the reader. It certainly came across to me. While I expected suspense and violence in a crime family thriller, what surprised me were endearing – and sometimes poignant -moments of humor, tenderness, and vulnerability. In what ways were you challenged during the process of writing this book? In what ways were you surprised? The challenge in writing this particular book was how far to take Gabriel’s character from his past. Growing up as he did, there was no way he would find it easy to settle into the role of “some philanthropic, law-abiding, respectable businessman”, to use Gabriel’s words. ;) I didn’t want to make any of the male characters too soft considering who they are. It was surprising how much easier it became to write them once I made the decision to make them exactly who they’re supposed to be. They were either going to be organized crime associates or they weren’t. I couldn’t have them slapping wrists and pouting about wrong-doings, but I also didn’t want them killing and maiming all willy-nilly, either. Eva was easier in that sense because up to a point, she’s just an average girl living an average, lonely, life. I was happy to put her together with her father, and even happier to give her Gabriel. Lucky she’s strong enough to handle them and her newfound family! I was delighted to read that Vincente and Maksim will have books out next year. What about Alek (she asked, hopefully)? Are you able to give us any information about the next two stories? Oh! I’m so happy you asked about the others. My poor, tormented Alekzander is indeed the hero in book four. By the time he’s seen Gabriel, Vincente, and Maksim find the kind of love he cruelly pushed away, he’s more than ready to lure Sacha back into his life. But what he finds when he unearths his Russian beauty makes the regret he’s lived with for the past fourteen months pale in comparison to what he suffers then. Will Sacha believe him when he finally reveals the truth about that devastating night? Will she forgive his callous treatment of her? She has to wonder if she even has a choice in the matter. Book six gives the Pakhan, Vasily Tarasov, his turn in the spotlight. His second chance at love is similar in flavor to the famous star-crossed-lovers in Romeo and Juliet—but the adult version. From what Vasily has witnessed within his family over the last while, he’s convinced you don’t choose who you fall in love with. His own heart’s choice proves that beyond a shadow of a doubt. But that doesn’t mean Anastasya will be an easy target. Especially when she learns who Vasily is. We love our comfort reads around here. To what authors do you turn when you need a break from the demands of real life? Me too! And I’m finally getting used to my Kindle, but still prefer to turn an actual page. I favor paranormal romance during reading time and my all-time favorite author would be the uber-talented Gena Showalter. I love me some Lords of the Underworld! Second to Gena would be J.R. Ward and the Black Dagger Brotherhood. Those vampires are superb examples of the alpha male in my eyes. Cynthia Eden, Maya Banks, Julie Garwood, and Kelly Armstrong also have places of honor on my bookshelves. This is my favorite time of year. I love the change of colors, cooler nights, fall fruits and veggies and football. What’s your favorite season? What qualities make it your favorite? Where can readers find more information about your book and connect with you online? http://amazon.com/author/nancyhaviland is the go-to for A Love of Vengeance and the books that will follow in the Wanted Men series. To connect with me, which I love, my website is: http://www.nancyhaviland.com I’ll be there updating quite regularly with fun facts, news, and information. Thank you so much for visiting with us today, Nancy. Would you like to ask our readers a question? Thank you, PJ! It’s been a pleasure. There is something I’ve wanted to know for some time, and now that I have the chance to ask actual readers I’ll take it. Is a Prologue at the beginning of a book something you like, or don’t? Most of my books begin with one, because characters always have a past, and I was curious if readers would just as soon have the information from the Prologue written into the story as memories rather than having it played out “in real time” to set the stage before chapter one. Montlake Romance has graciously offered a digital copy of A Love of Vengeance to FIVE randomly chosen people who leave a comment on today's post. Lovely to meet you here today Nancy. A wonderful interview thank you. I like a prologue to give me real time info. Though I don't mind the information as memories sometimes. Hi Nancy! Welcome and many thanks for taking the time to give such thoughtful answers to my many questions. As you could no doubt tell, I really enjoyed this book. My tastes don't normally run in the organized crime direction but you crafted a story that refused to let me walk away and multi-layers characters who burrowed their way into my heart. Can't wait for Book #2! Hi PJ! Again, thank you for having me today, it's wonderful to be here. And thank you for your kind words. With A Love of Vengeance being my first publication, I was understandably anxious about how it would be received, so hearing you, and others, are enjoying it is marvelous! Quite surreal, if I'm being honest. I hope book two is as enjoyable for you! I don't mind prologue, Nancy. I think it depends on the story as to how best the backstory is presented. If it's information I as a reader needs before I start chapter one, then sure, give me that prologue. Thanks for stopping by, Sandra! I agree with you on the way the backstory is presented. Some prologues are very necessary, in my opinion, while others bore me to tears. I think Nancy's prologue/flashback is well written and does a great job of setting the stage for the story. Hi Rebecca! Hope you give A LOVE OF VENGEANCE a try. I enjoy discovering new authors and following along as they build a series. Sounds wonderful and I'm always happy to hear about new authors. I enjoy prologues. I'll take any extra information the author wants to give me! I'll take any extra information the author wants to give me! I love prologues (and epilogues). I'm not the reason they made up that rule. But you do get bonus points if you make the prologue hard to figure out...or possibly a scene from later in the story...or from the villain's POV first...and then turn the page and we're in the middle of the story, wondering when that's going to come out! Compelling. I love writing that is compelling. You can title it whatever headliner you want...prologue, chapter 1, whatever. I'm a big fan of prologues as a way of setting the scene. In a suspense novel for example, a preview glimpse of the dastardly deed, be it murder or something even worse, is excellent before letting the detection work commence. Congratulations on the new release. It's not often that the hero is also the villain. Definitely like prologues! and epilogues :) I'm a glutton for whatever the author will give me! Congrats to Nancy on the new release! I like them both ways! I enjoy the prologues and love epilogues. The book sounds great. Thanks for visiting with us today, Nancy. Can't wait to see all of your Wanted Men find their happy ever after! Congratulations on the release of A LOVE OF VENGEANCE. I hope it is doing well. I appreciate authors including prologues. In most cases they are a quick set up that gets the reader ready for the story and characters to be developed. Not every story needs one. Often it is a major event that happened which doesn't need to be explored, but which somehow responsible in part for the story that will follow. Taking time during the story for memories to explain or set up things doesn't always work. Often the major event happened before the characters would have any memory of it or even be part of it.